Welcome to PC Gaming, where we enjoy more options than any other gaming system to date. Sure, every console has multiple versions and most of them allow the user to purchase non-standard controllers (even the 3DS had the Circle Pad Pro attachment), but all of that pales in comparison to the amount of personalization you can do with your PC gaming experience. 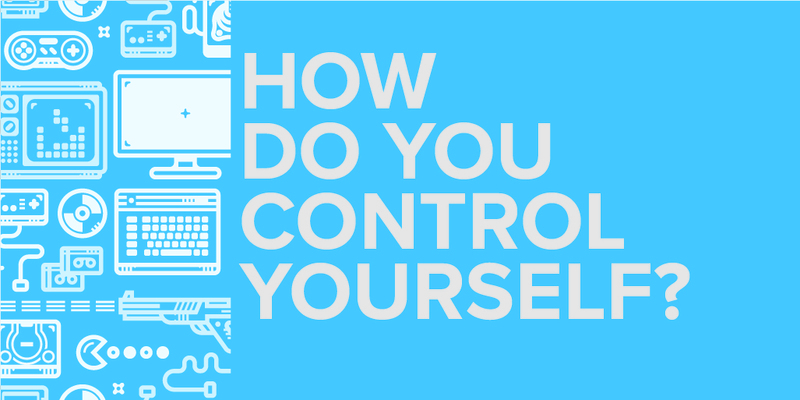 You can make your system as powerful as you want, you can load it up with all sorts of software that, perhaps, wouldn’t survive on a game store shelf, and you can control it in whatever way you want! We’ve got controllers specifically designed for certain genres (like the fight sticks enjoyed by the fighting community), or even controllers designed to help players with disabilities! How great is that? There are plenty of options that I’m not even mentioning, but for the largest segment of the gaming community, it usually comes down between one choice: keyboard+mouse or controller? 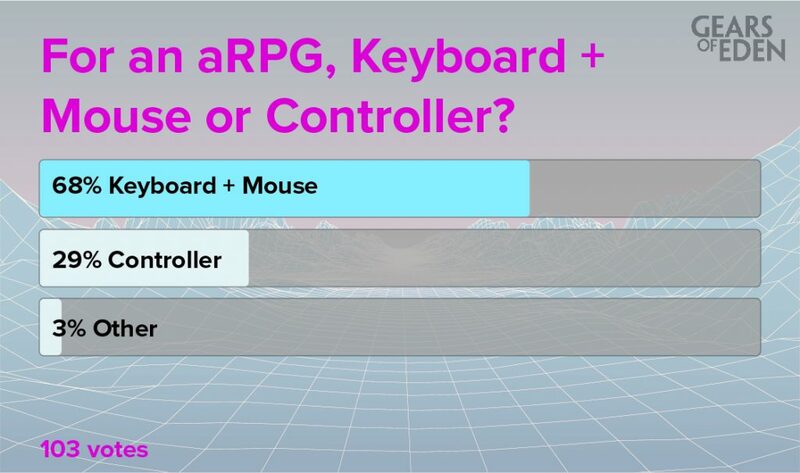 When we put it to a vote, we learned that roughly two-thirds of you prefer a keyboard+mouse set up (68%) and that most of the last third of you prefer to use a controller (29%)! I’ll be honest, I was actually expecting this to be a bit more evenly split. In fact, it should be said: a good number of our team prefers controllers, and though we’re currently focused on making the game work from a keyboard+mouse perspective, we recognize how important it is to support a wide range of input set ups. With the growing ease of PC modularity, it would be silly not to! It’d be silly because it’d box out a huge part of the gaming community. See, when we asked your preference, we asked within the context of playing an RPG. A lot of PC gamers have learned to be adaptable. We’d have to be! Can you imagine trying to play Baldur’s Gate on an xbox controller? Or how clunky it’d feel to play Darksiders with a keyboard? And maybe the reason I’m so bad at Street Fighter is that I don’t have a fight stick! (Spoiler, it’s not: I’m just terrible and can’t remember combos.) Some games–some genres even–are designed with certain controller types in mind, which makes sense. A Pokemon game is probably going to require different things from the player than, for instance, Elite: Dangerous. It’s important for us though, that we don’t put up any extra barriers to entry between Gears of Eden and a player who thinks it looks fun, regardless of what sort of game they’re used to. That’s it for this week’s Fan Feedback, but as always we’ve got another poll for you! This week, we’re asking about how you like your dialogue: do you prefer the development freedom of text-based dialogue, or the immersive nature of hearing an actual voice? Let us know, and we’ll be back next week to tell you our thoughts! As always, the best way to see that discussion (and everything else we send out!) is by following us on Twitter and Facebook! Thank you so much for reading, we’ll be back in a couple days for the Dev Update!